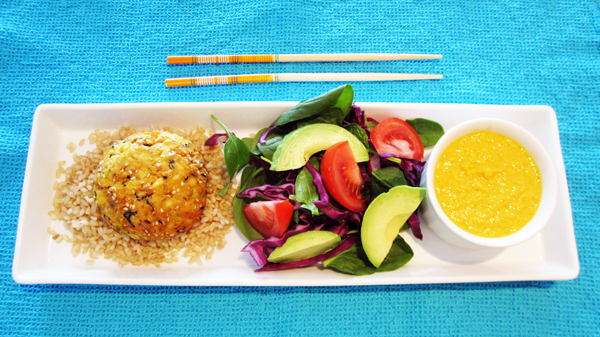 There’s no special theme today, I just picked food that I really want in my belly, right now. I stumbled across this stunning Grilled Tofu with Lemongrass and Cilantro Stuffing at Olives for Dinner which sounds as gorgeous as it looks. I can tell just by reading the ingredients that I’d love this dish. I also wouldn’t turn down a big plate of Jerk Tempeh with Caramelized Plantains and Butternut Mash Up over at Whole Food Vegan. Spicy Jerk seasoning over earthy tempeh with sweet plantains and butternut. Hell yeah! 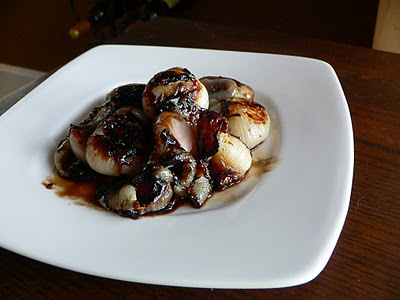 Now, these Balsamic Caramelized Cipollini Onions at The Raw Cooked Vegan aren’t a complete meal, but they sure would make just about anything better! I would love these on top of some hearty bread with arugula and maybe a little Cheddar Cheezly. Or maybe I’d just snack on them out of the skillet. 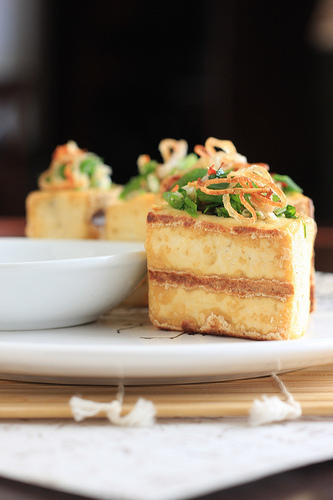 Another dish I wish would magically appear on my dinner table tonight are these Hijiki Tofu Burgers with Carrot Ginger Dressing at vegangela. This dish sounds so flavorful and satisfying, but would probably still leave me a little room for dessert. 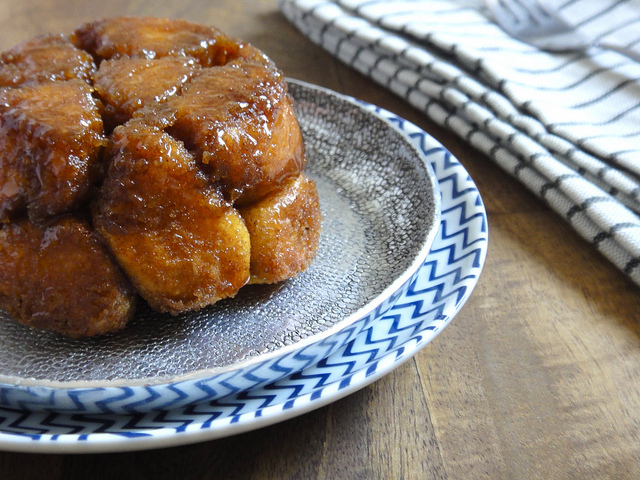 Actually, there’s always room for dessert, especially if these award winning pumpkin doughnuts that Passing Daisies writes of are on the table. I love banana soft-serve, and the Banana Split Ice Cream at Veg-am takes it to another level with the addition of banana split toppings – chocolate, peanuts, strawberry, and pineapple. 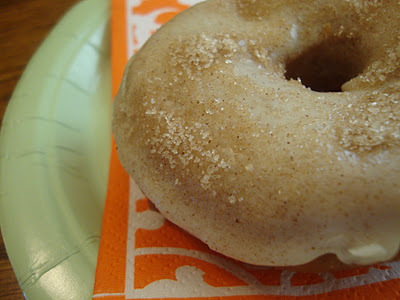 I’d eat Oh, Ladycakes Pumpkin Spice Stick Bread for breakfast, then I’d have it again for dessert. Sometimes, a meal just doesn’t seem complete without a mint. 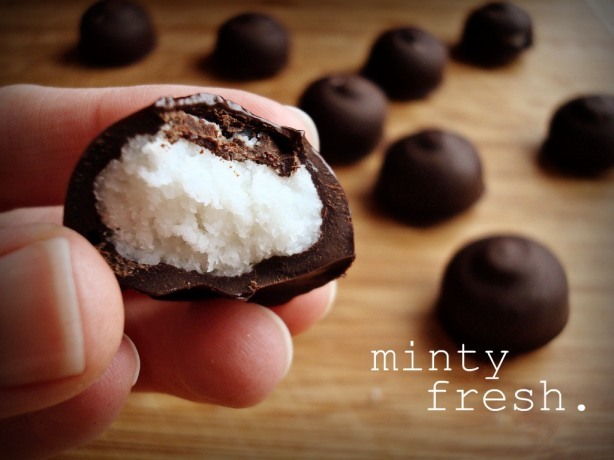 I would love to nibble on these homemade Junior Mints at Fork and Beans. I wish the cats would leave mints on my pillow, but I don’t think they can be bothered. I guess I’ll just have to make them for myself! That’s it for this Wednesday! See you next time! My Zoetrope and Vegan Dish Giveaway!! I like the way you think. It all looks so good! I’d really love the onions and the donuts. Thanks for letting me know! It’s fixed! Ooh! Great picks! Junior mints for Christmas gifts? Yes!